Stone flooring can come in all guises, it is commercially fashionable because of it undoubted quality, appearance and wearability. 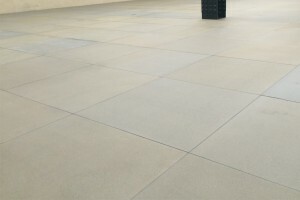 This perception of it's quality and extreme hardness is often overlooked with a lack of maintenance or poor cleaning. 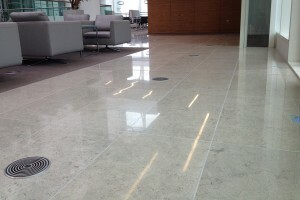 Marble, Granite, Travertine, Slate, Onyx, Sandstone, Limestone in commercial installations all require cleaning using the correct non-abrasive chemicals on a daily basis, this should be coupled with an ongoing maintenance programme to ensure the stone does not deteriorate and it's appearance is upheld. As specialist floorcare contractors we have extensive knowledge on all stone floor types and maintain many commercial buildings throughout the UK. 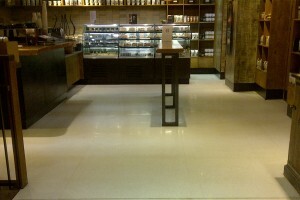 This can involve polishing marble in hotel lobbies, honing and sealing sandstone in retail, deep cleaning flame sealed granite in office entrances, filling travertine and polishing, honing and polishing limestone, grout cleaning, application of sealants, colour enhancers and anti-slip treatments. 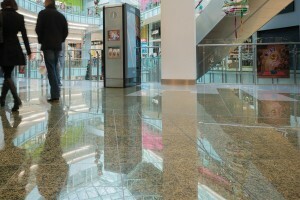 All of these methods can be integrated into a programme of maintenance which will maintain your stone flooring to a consistently high level through our experienced and trained staff. We devise the frequency that you require through determining the average footfall that your establishment receives, we will also consider budgets that are assigned and work with our clients to achieve the best available solutions. 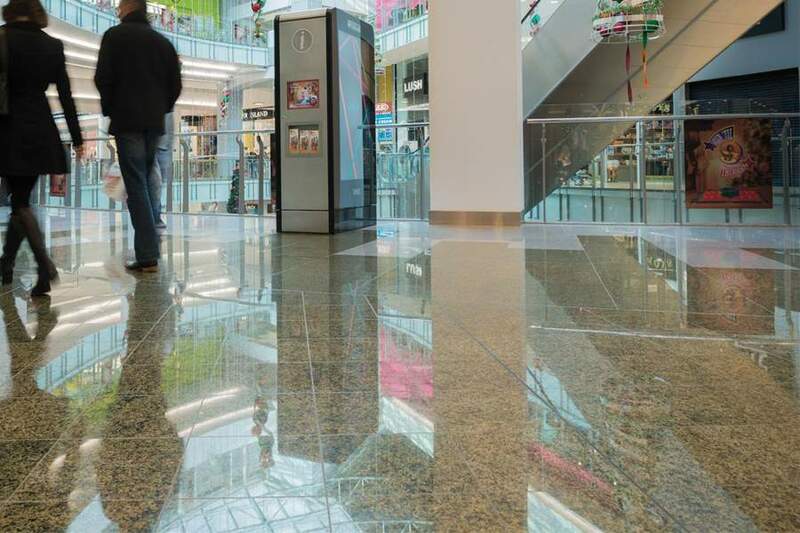 If you are looking for the best in stone floor maintenance or first require help on a stone restoration project prior to installing a maintenance programme, please call us to arrange a site survey.